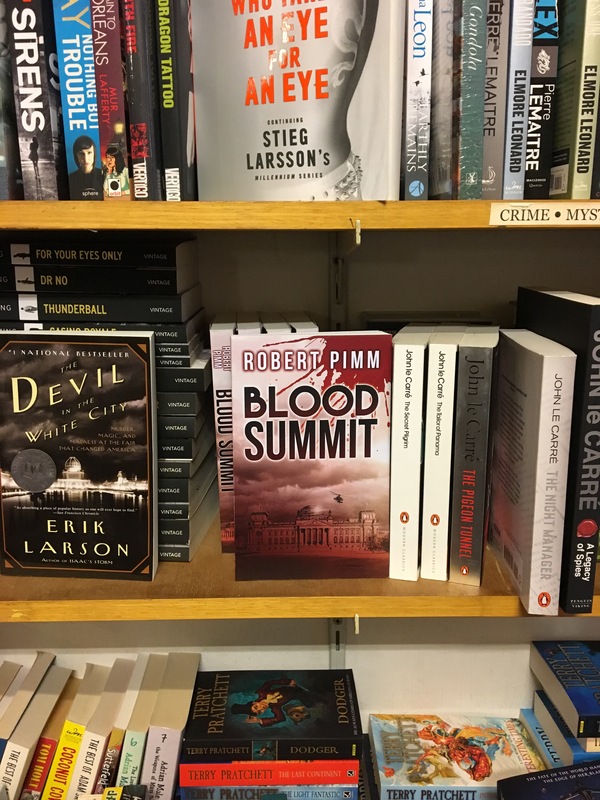 Many people come to this site in order to read my thriller Blood Summit. (iii) come to one of my readings. I usually have books at my readings (see piano in the picture above) which I will be delighted to sign for you. 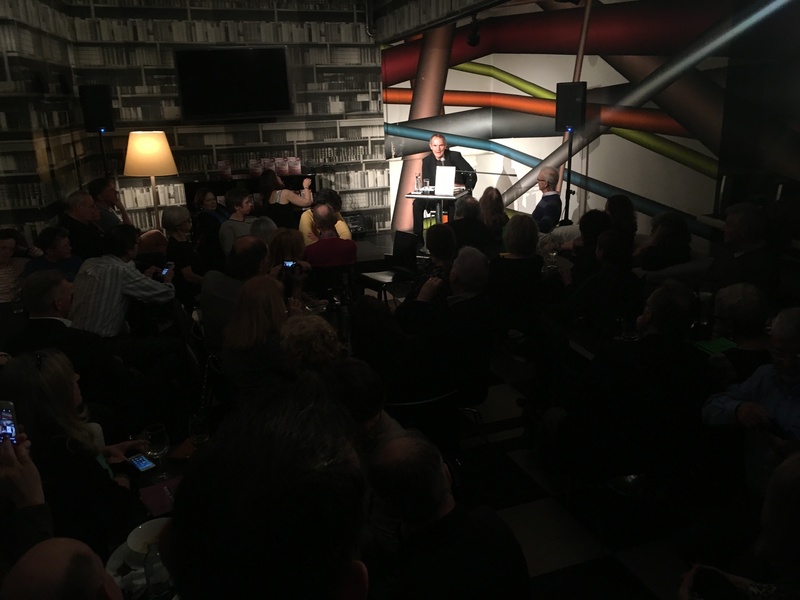 At the readings, I usually read a couple of chapters and then answer questions; up to now, people have seemed to enjoy them. If you buy a paperback from Shakespeare & Company or Amazon and bring it along, I’ll be happy to sign it, too. (iv) if you want to read the book for free you can take a 30-day trial membership of “Kindle Unlimited” which permits you to read any book available on Kindle, including Blood Summit, for free. Or you may already be a member of Kindle Unlimited. I’ve actually been surprised how many readers access the book this way. Any questions? Do contact me via Facebook or the “Comments” section below. Enjoy the book. It’s quite a ride. P.S. If you enjoy fresh, original writing, feel free to friend me on Facebook or sign up for e-mail updates (top right – see the “click here” blue button). You can check out the range of writing on this site via my five pleasure paths. By Robert Pimm in Robert Pimm, Writing: about writing on 30/03/2018 .